WMX Americas will take place at the Miami Marriott Biscayne Bay, 10 – 12 February 2019. We are delighted to announce that the preliminary speakers list for WMX Americas 2019 is now live. We have a host of big names taking to the stage this year including Canada Post, FedEx, Jersey Post, Pitney Bowes, Landmark Global and more. Check out our Speakers page to check out the rest of the line-up. We’re still finalising the programme for 2019 so we have a few speaking slots available. If you think you can add value for our audience then make sure you take a look at our agenda page and answer our call for papers today! It’s a sell out! Our supplier showcase is now fully booked! Our supplier showcase has proved so popular this year that we’ve sold out before Christmas! Don’t worry though, there’s still opportunities to get your brand in front of our audience of senior post and parcel executives with one of our sponsorship packages. Contact Stephen Clark or Tom Ross-Joannou on +44 (0)1628 642910 for more information or download the sponsor pack. 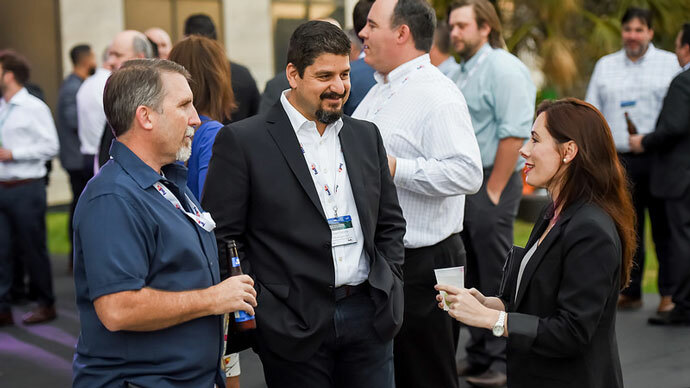 Don’t forget the World Mail & Express Americas Conference 2019 is taking place at the Miami Marriott Biscayne Bay on the 10 – 12 February 2019. If you have any questions or need help then please don’t hesitate to contact us at [email protected] or call us on +44 (0)1628 642910.